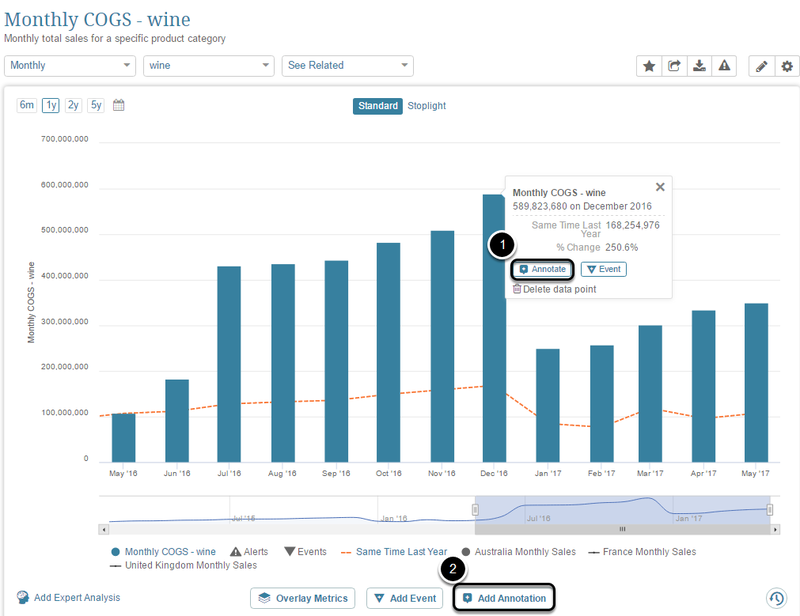 Annotations allow you to share your insights with other users. 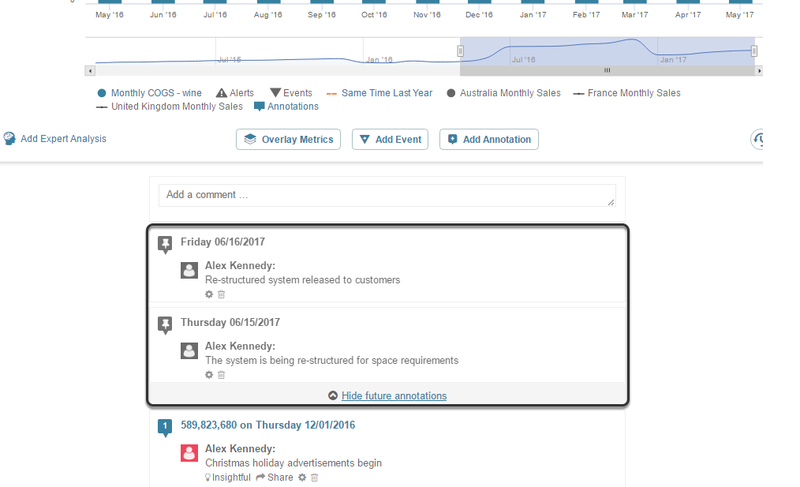 You can apply an annotation to a single date point or to a range of dates. 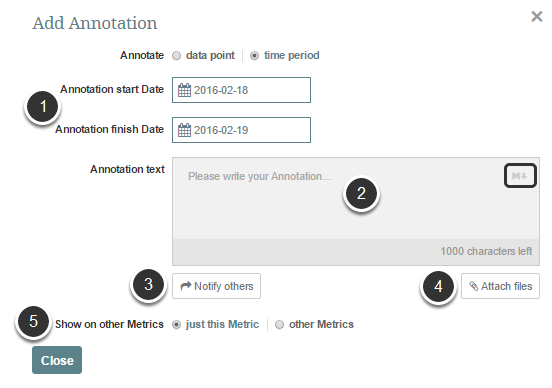 You may easily apply your annotation to a broad set of metrics. 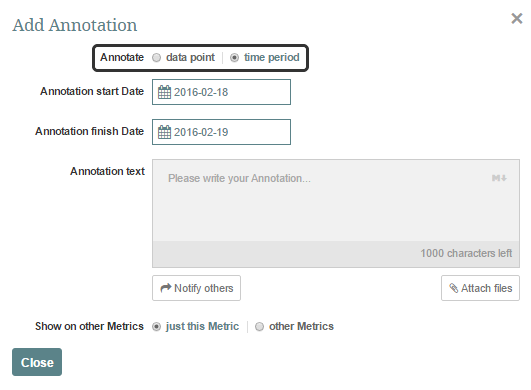 If you wish to notify others about this Annotation, you may do so here. 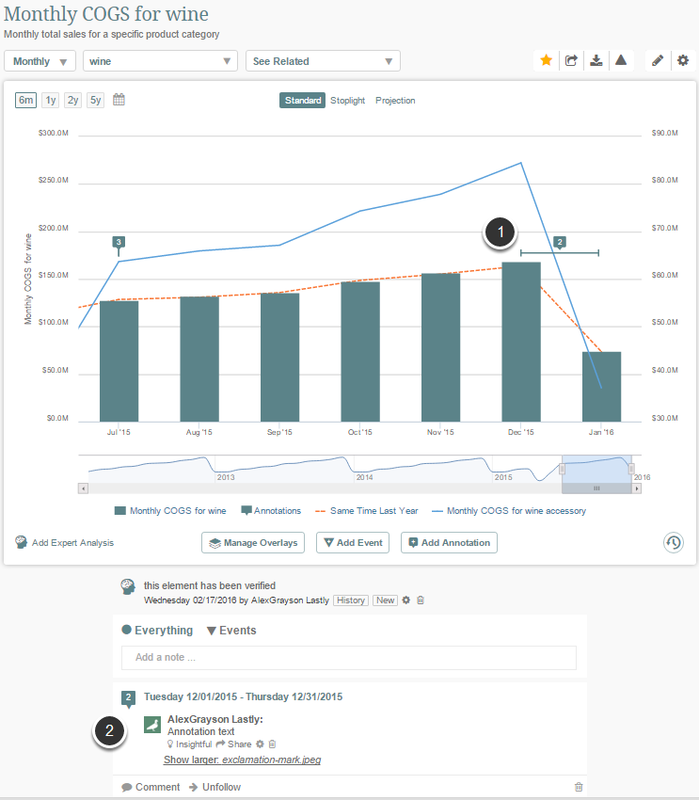 See The Share function for more details. 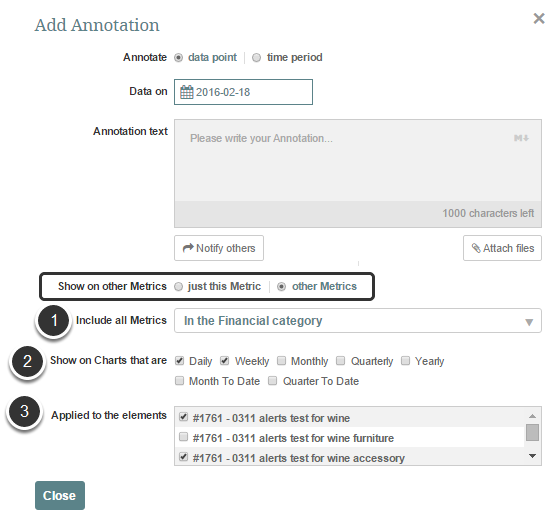 Users can easily add Annotations for a Metric's data points for which data has not been collected yet. This is helpful when a user knows something will be happening during the current or future period. 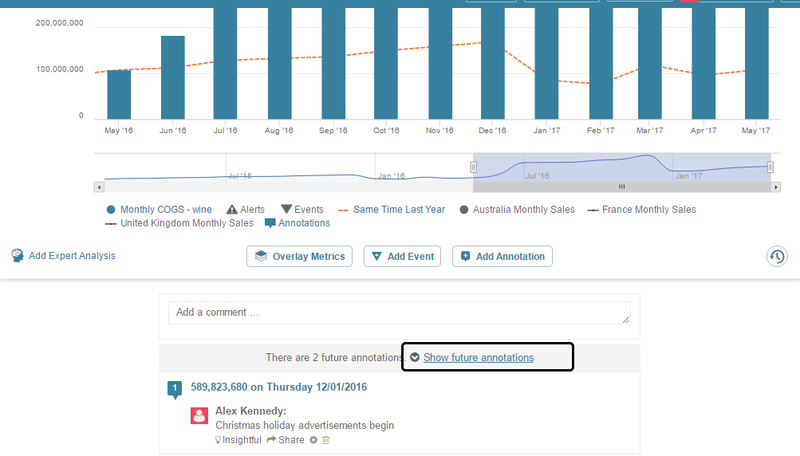 The annotation will appear on the Chart and at the Homepage > News View when data is collected for that period; until then, the annotation can be viewed on the Metric Viewer below the actual chart as show below. NOTE: Display of Future Annotations is controlled based on the last data point collected, regardless of how OLD that data is. 1.2 What is Expert Analysis? 1.6 Who else is watching this tile?